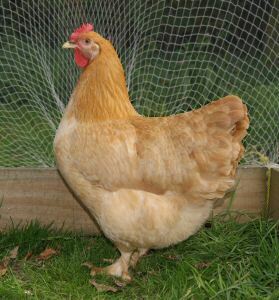 The Cochin originated from China and is one of the oldest poultry breeds which was used to develop many of the now more well known breeds like the Buff Orpington and the Buff Plymouth Rock. Here in New Zealand the Buff Cochin was a favourite among the new settlers in the mid-1800s. Sadly, these original Cochins had died out here in New Zealand when many heritage breeds were replaced with commercial hybrids. However, their genetics lived on in the Buff Orpington and the Buff Plymouth Rock which provided an opportunity to recreate them. 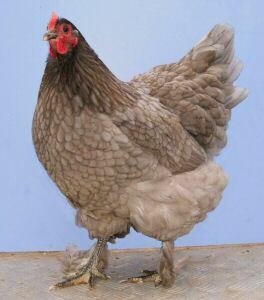 Roger McCormick, now of Motueka, recreated the Buff Cochin (see Cochins in New Zealand) and this colour variety is now being bred by several breeders around the country. The Cochin is now available in Buff, Black and Blue and new colours are being worked on. The Cochins Roger recreated do not only look like the Cochins that originally came out of China but they also mature at an early age (usually point-of-lay is five to six months), they lay every day when not broody, they are excellent mothers, and they are productive for many seasons. The Cochin is a dual-purpose heavy breed.